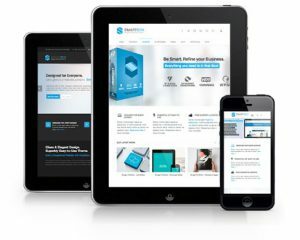 SiteHatchery.com is a small web design and development company based in Chico, California. We create attractive, effective websites that help large and small businesses alike draw traffic and revenue while serving customers with an easy-to-use online presence. Do you want a site that is exceptionally designed and professionally presented? Or do you need to overhaul, improve, or add dynamic features to an existing website, portal, or administrative interface? We also offer programming services from shopping carts to custom-built multimedia solutions. We are available to design, redesign, upgrade and maintain websites in Chico, Redding, and Sacramento, California, and around the world. Armed with knowledge of the latest in programming and web design as well as social media marketing and search engine optimization (SEO), plus the skills to implement these strategies, SiteHatchery.com offers everything you need to establish your presence on the web and market your business and brand to get the traffic you need, and convert those visitors into customers. A large business in need of a dynamic website or customer solution? A small business or nonprofit looking to establish a presence on the web? A startup blogger desiring an attractive, easy-to-use site that will draw search engine traffic? Unhappy with the design or functionality of your current website? Wanting to increase traffic (and revenue)? A business or individual’s web presence is often the first look a new potential customer or visitor gets, and putting your best face forward means traffic, revenue, and happy users. Besides high-quality design and programming, we know how to use today’s SEO techniques to get your site ranked high by search engines and make sure your customers can find you. The web is an affordable marketing tool that serves your customers or visitors any time of the day or night. Your presence literally means dollars in today’s 24-7 online marketplace. At SiteHatchery.com, we say “no way” to cookie cutter designs. Your business is unique, and its website should stand out from the crowd. We believe the best results come through open communication with our clients, and we can execute your ideas and build a website that will accomplish what you want it to. We’re not pushy or overly technical when talking about your project. We listen. To contact Sitehatchery for a consultation, quote, or with any questions you may have, please fill out the contact form or give us a call (530-680-2734). We deliver appealing, effective websites on time (no unpleasant delays) and communicate with you every step of the way. We won’t just meet your expectations. We’ll exceed them. Click on our portfolio to see for yourself.